The PADI Scuba Diver course is designed for travellers who simply want to get a taste of the certification courses in scuba diving. 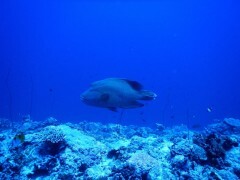 This trip allows you to learn the basic skills of scuba diving on a short itinerary of just two days. During the course, you'll begin by training with a certified dive instructor in a swimming pool. Soon enough, you'll be completing two open water dives in the Andaman Sea, swimming down to a depth of 40 feet. 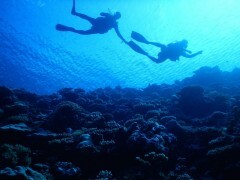 Post completion of the course, you'll become a certified PADI Scuba Diver. After completing this course, you also have the option to continue one step further and train for your PADI Open Water Diver certification. 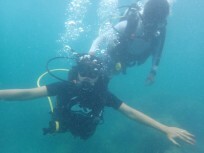 The PADI Scuba Diver course takes you diving in the pristine waters of the Andaman Sea. You'll complete your pool training at a dive center located on the Havelock Island, and take a boat ride into the teal blue ocean for your open water dives. 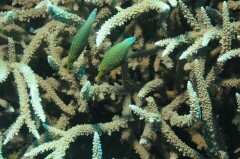 The dive spots offer a large, lively coral reefs that are home to hundreds of species of marine life. 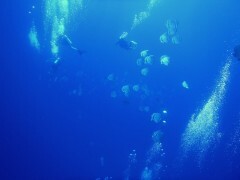 With clean water and relatively high visibility, the Andaman Sea is a paradise for scuba divers. Moreover, Havelock Island's soft and white sandy beaches and tropical greenery are perfect landscapes to relax after a day of scuba diving. 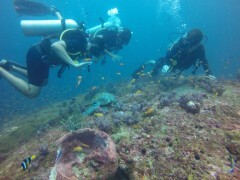 • Get a taste of PADI certification courses with the PADI Scuba Diver course. • Complete two open water dives, swimming as deep as 40 feet. 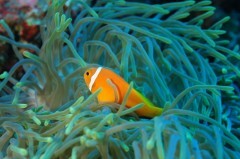 • Explore the enchanting, underwater beauty of the Andaman Sea. Please allow a minimum of 12 hours between the end of your course and your return flight. This time allows your body to rest and recuperate. 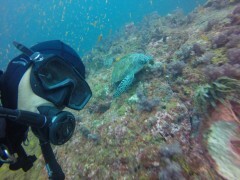 For cancellations made 30 days or more before the start date of the PADI Scuba Diver course in the Andamans: 98% refund. 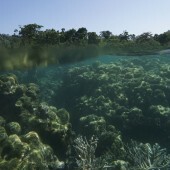 For cancellations made 15-29 days before the start date of the PADI Scuba Diver course in the Andamans: 50% refund. For cancellations made less than 15 days before the start date of the PADI Scuba Diver course in the Andamans: no refund. No pick-up for this PADI Scuba Diver course in the Andamans. No drop-off for this PADI Scuba Diver course in the Andamans. Arrive at the dive center by early morning and meet your dive instructor. Today, you'll begin your training for the PADI Scuba Diver certification with lessons in theory. 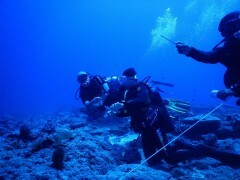 You'll spend the day studying various dive techniques and watching videos on how to wear the scuba equipment. You'll also get into the swimming pool to work with your instructor and learn how to apply the skills in practice. The day's session ends by late afternoon. You can spend the rest of the day at leisure. 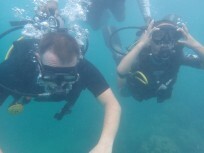 The PADI Scuba Diver course in Havelock Island. 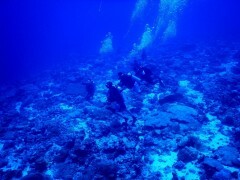 Day 2 of PADI Scuba Diver course: 2 open water dives! Report to the dive center by early morning. Today, you'll have a short briefing session before boarding a boat and travelling to some of the dive spots around Havelock Island. From these dive spots, you'll complete two open water dives, swimming as deep as 40 feet under the water. Your dive instructor will guide you through every step of the way, as you continue practicing and learning various techniques in scuba diving. The boat will drop you back to the dive center, where you'll give a short quiz and complete the paperwork for your PADI Scuba Diver certification. Your trip ends here.